All Groups MUST check availability of cross country course and notify The Horse Park office BEFORE riding. PLEASE turn in applications BEFORE riding on the property. Please call The Horse Park office to verify course status. Day haul-in parking is located in the South and North lots, not in RV spaces/areas. Intermediate & Advanced XC Jumps are always CLOSED except during the Horse Trials. Above photos were taken by Horse Park Staff. All Perimeter Trails are . Please read the rules/policies for The Horse Park at Woodside. These rules/policies are necessary to protect the rider, horse, and the integrity of the cross country course. 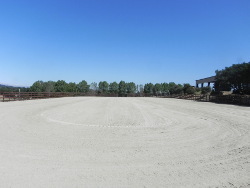 * Open to All indicates that the arena is only to be utilized for exercising horses. No lessons, No coaching, No clinics and No jumping permitted. The south section of the lower level cross-country courses are OPEN (Intro-Prelim) starting Fri., April 19th! Please use caution as this is the first grooming of the year. We will continue to complete track maintenance as time permits. April 18-19: Use caution on property as all the arenas are undergoing the Annual Footing Maintenance Program! Updated Fri. 4/19: Four Winds, Four Winds Annex, Polo, Whiskey Hill & Mountain Home are OPEN. 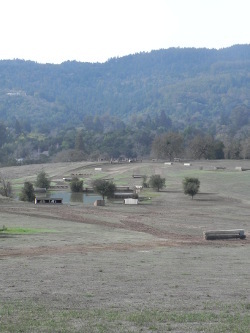 Updated Fri. 4/19: The Perimeter Trail is OPEN. 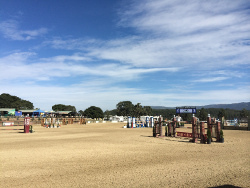 South section of the Cross-Country courses (Intro-Prelim) are OPEN & Exercise Track is OPEN. South Lunging Pad is OPEN. Reminder: NO non-approved, vehicles, motorcycles, bikes, and/or golf carts are permitted on the Cross-Country field/courses! North Cross Country Stay on groomed track only and off perimeter grass areas! Stay on groomed track only and off perimeter grass areas! Intro- Prelim ONLY! Use caution as this is the first grooming of the year!